Try our Spessartite Garnet Gemstones Satisfaction Guarantee - compare our prices and our superior quality. Click on any spessartite garnet or mandarin garnet gemstone image below to enlarge it. 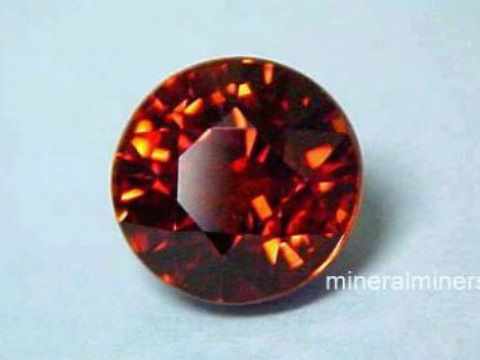 This spessartite garnet gem has very beautiful deep orange color (100% natural color - unheated and untreated). This pear shape gem was very well cut with good brilliance from a natural spessartite garnet crystal that was mined in Nigeria. It is eye-clean with faint natural inclusions that are only visible under very close inspection with bright illumination. 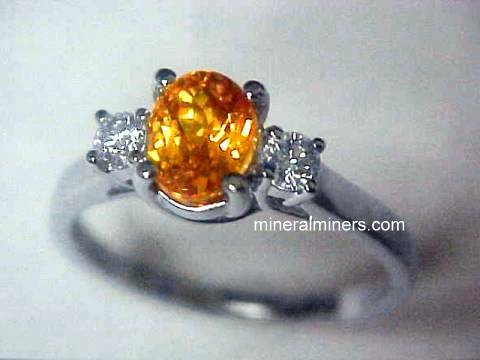 Our mineralminers.com special offer price for this pear shape orange spessartite gem is $380./carat x 4.10 carats = $1558. 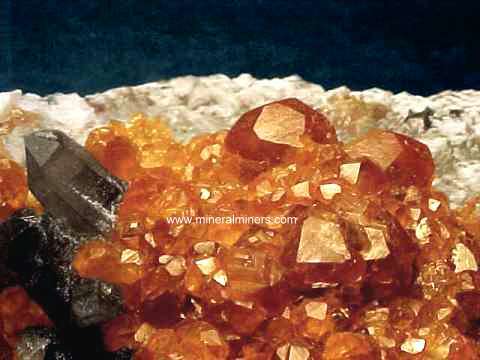 This spessartite gem has very deep orange color with strong red-orange hues (100% natural color - unheated and untreated). This gem was very well cut into a deep round shape with good brilliance from a natural spessartite garnet crystal that was mined in Nigeria. It is eye-clean with faint natural inclusions that are only visible under very close inspection with bright illumination. Our mineralminers.com special offer price for this round 8.8mm natural deep red-orange spessartite gem is $325./carat x 4.84 carats = $1573. 135.35 carat Flawless Deep Red Spessartite Gem! This spectacular spessartite garnet gemstone is completely clean even at 20 times magnification! 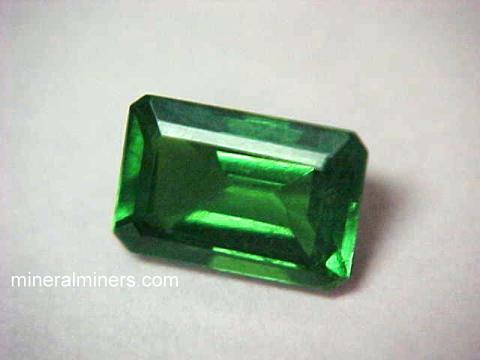 As far as we know, it is the largest internally flawless spessartite gemstone in existence with such amazing clarity. We have a certificate for this gem from Professional Gem Sciences, Inc. See also a side view photo of this rare red spessartite gemstone. Its color is a very deep pure red of dark tone and strong saturation (100% natural color - unheated and untreated). See another view of this giant flawless deep red spessartite gemstone. See also an additional view of this amazing flawless deep red spessartite gemstone. 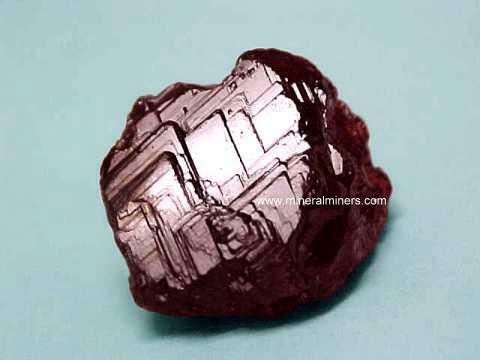 This museum quality spessartite gem is very well faceted in an oval cut with a checkerboard crown from natural red spessartite garnet rough (also known as spessartine) that was mined in Nigeria. Our mineralminers.com special offer Net price for this museum grade gem of incredibly rare quality and extraordinary size is $120./carat x 135.35 carats = $16242. See another view of this spectacular giant flawless red spessartite gemstone! 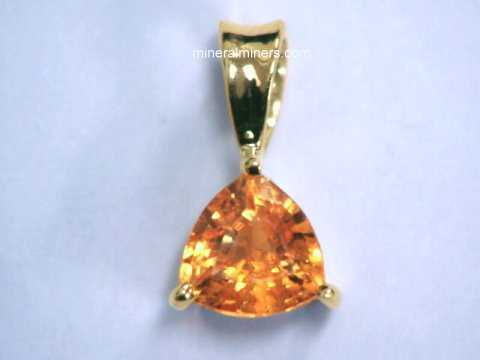 This large spessartite garnet gem has very fine mandarin orange color (100% natural color - unheated and untreated). This rare size mandarin gem is lightly included and faces up almost completely eye clean! It has some very faint natural inclusions which are only faintly noticeable when examined closely, with no heavy flaws. 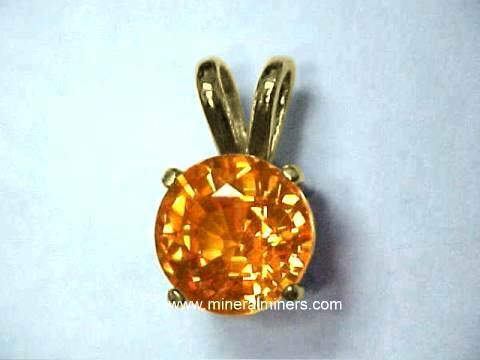 See another view of this mandarin orange spessartite garnet gemstone. This beautiful gem is a fine pure mandarin orange to human eyes with no yellow flashes - the yellow flashes visible in the photos are something that only the camera sees... This amazing orange garnet gem was faceted from a natural color mandarin orange spessartite garnet crystal that was mined in Nigeria. See also another view of this large mandarin spessartite gemstone. Our mineralminers.com special offer price for this fine deep mandarin orange garnet gem is $350./carat x 13.10 carats = $4585. Our genuine Red Spessartite Garnet Gemstones and Mandarin Orange Spessartite Garnet Gemstones are 100% natural unheated and untreated garnet gems. See also our genuine spessartite garnet mineral specimens including deep red spessartite specimens and the bright orange mandarin garnet crystals. Each one of our spessartite garnet gemstones (also known as spessartine) is a natural garnet gem that was mined in either Brazil, Namibia, Nigeria, or Tanzania. Here at mineralminers.com, we do not have any lab-created garnets or any treated garnet gems! We specialize in natural garnet gemstones. Be sure to see our genuine garnet gemstones for all of the natural garnet varieties. We have in stock natural garnet gemstones in all of the garnet varieties including almandine garnet gems, color change garnet gemstones, demantoid garnet gemstones, hessonite garnet gemstone, rhodolite garnet gemstones & tsavorite green garnet gems. See also our page displaying natural mandarin garnet jewelry designs with genuine mandarin spessartite garnet necklaces, rings, pendants and earrings set in solid 14k gold. Take any of the these links to see a selection of our superior quality mandarin spessartite garnet jewelry. For more information about the genuine garnet varieties and their history, physical properties, chemistry, occurance, and metaphysical uses be sure to see our garnet information page. To see more spessartine garnet photos, just select another item category from the table below. 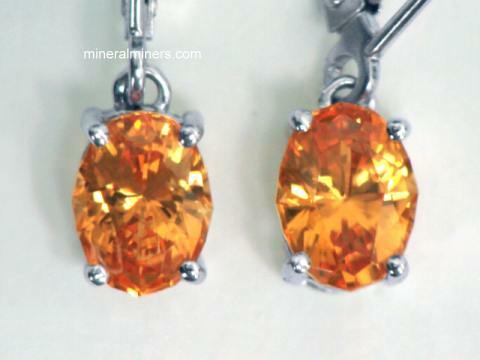 Would you like us to inform you when we add on this page more superior quality natural spessartite garnet & mandarin orange garnet gemstones? 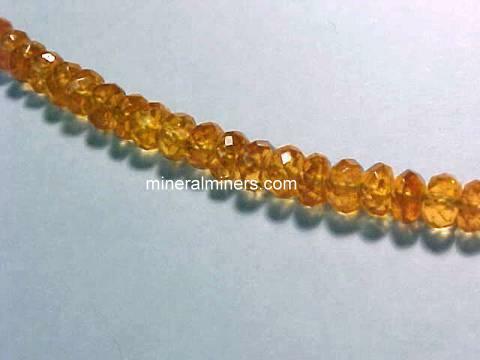 We have natural color orange spessartite gemstones (also known as mandarin garnet), natural color red-orange spessartite gemstones, and natural color dark orange spessartite garnet gemstones available. We do have additional inventory of natural spessartite garnet and mandarin orange garnet gemstones in stock, so be sure to let us know if you have any genuine spessartite gemstone special requests. Please contact our webmaster or our 'site' geologist with any questions or comments.